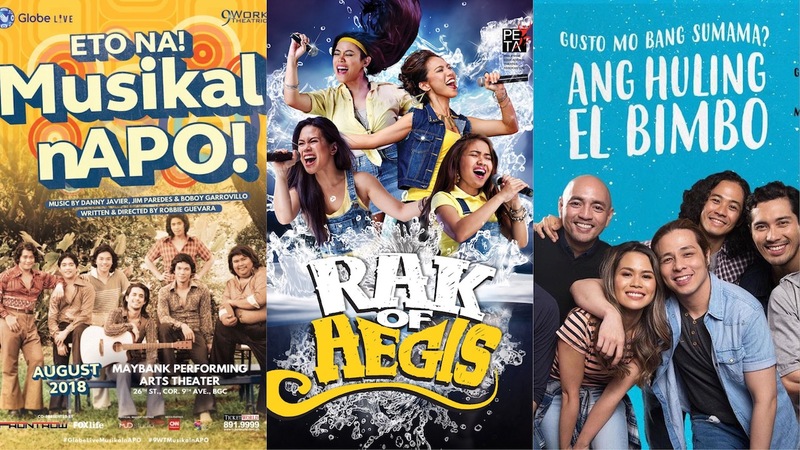 2018 has been the year of the Filipino jukebox musical. Rak of Aegis ran for the sixth time, Sa Wakas ran for the third time on its farewell run, and Ang Huling El Bimbo and Eto na! Musikal nAPO! opened and closed to huge followings. The musical centers on Aileen, a young girl who lives with her parents in a flood-ridden barangay. They, along with the rest of the people in Barangay Venezia, struggle to look for better opportunities outside their failing shoe manufacturing business. To make a better life for her family, Aileen attempts to become a viral YouTube sensation. She decides to upload a video of herself singing the iconic song ‘Basang-basa sa Ulan’ in her hopes of getting discovered by Ellen DeGeneres. Through her journey to stardom, she discovers the real meaning of love, friendship, and sustainable development. The musical was directed by Maribel Legarda and written by Liza Magtoto. Myke Salomon served as musical director, arranger, and vocal director. The story is the journey of three friends, Hector, Emman, and Anthony, from when they first meet in college, to 20 years later as middle-aged men. Set in two different timelines, the trio go through the joys of youth, friendship, love, heartbreak, as well as lasting, life-changing traumas that affect their lives well into adulthood. The musical was directed by Dexter Santos, with musical direction by Myke Salomon and book written by Dingdong Novenario. 3. Eto na! Musikal nAPO! A college barkada, composed of Rick, Sonny, Butch, Ray, Jamie, Donnie, and Bobby, try their hand at a songwriting contest. Amidst the mounting pressures of the competition, as well as political unrest from Martial Law, the characters wrestle with the escalating lawlessness of the administration, their family life, and their love lives. The musical was written and directed by Robbie Guevara, with musical direction by Daniel Bartolome. The musical, set in contemporary Manila, focuses on a love triangle told in reverse featuring aspiring photographer Topper, ambitious neurosurgeon Lexi, and passionate magazine journalist Gabbi. In a little less than three hours, the audience gets a peek into the little cracks that lead to the blossoming of one relationship and to the inevitable break-up of the other. Sa Wakas was co-written by director Andrei Pamintuan, Ina Abuan, and producer Charissa Pammit, with musical arrangement by Ejay Yatco. The story is set in a music empire where love songs are banned. The only music permitted by its tyrannical ruler is, HYP—happy, youthful, purposeful. 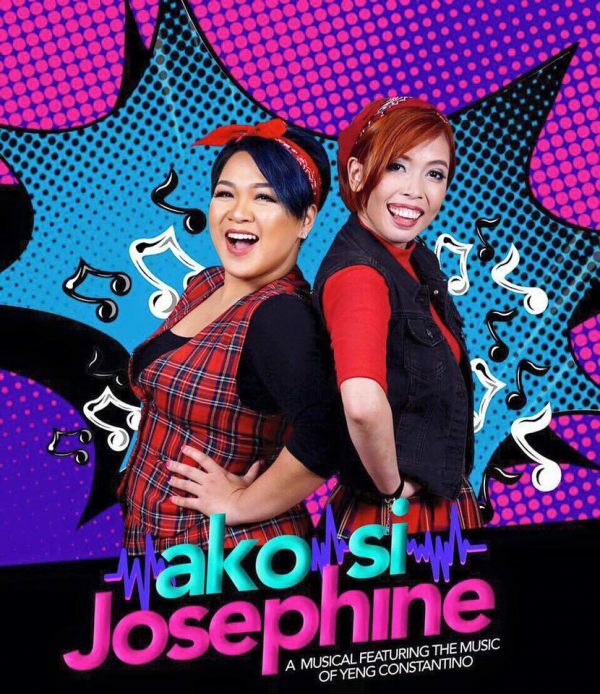 But when top composer Josephine and her boss Chinito fall in love, they can’t help but fight for their right to broadcast the love songs that they had written together and challenge the status quo. The show was directed by Maribel Legarda, with a book by Liza Magtoto and musical arrangement and direction by Myke Salomon. The story is set in a dystopic future in the year 2026. The inhabitants live in a place called The Stormdome, a bomb shelter Filipinos now called home. Resources have become scarce, education has become limited, and a stark disparity between rich (Lumino) and poor (Diliman) remain. Filipino history and identity have also been erased because despotic leader Vidame Inky attempts to maintain order by wiping people’s memories. A group called Tropang Gising, headed by Sol, is the light at the end of tunnel, as it attempts to spark a revolution that will turn the system upside down. The musical was written by Mixkaela Villalon and Rody Vera, with direction by Nor Domingo, and musical direction by Myke Salomon. Fictional 80’s group The Bench Boys come together for a reunion concert to raise money for a fellow member who’s terminally ill. After three decades of not seeing each other, they are forced to deal with personal baggage, unresolved conflict, and issues that men in their 50’s need to face. 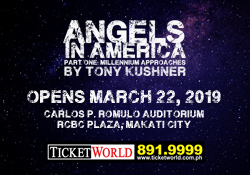 The show was directed by Dexter Santos, with a book by Rody Vera, and musical direction by Myke Salomon.